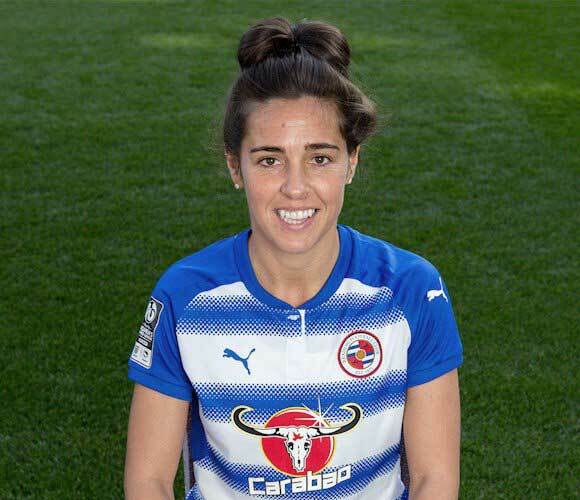 “It’s been okay,” is Fara Williams’ best way of summing up Reading’s stop-start season so far. Three leagues game have seen the Royals comfortably beat Yeovil before a draw against West Ham was followed by defeat to Birmingham City last weekend. Fortunes have been mixed in the Continental Cup too with a victory over Manchester United backed up only by defeat to Everton. Williams, 34, laments the injuries that have hampered Reading’s season, including an operation the midfielder herself underwent during preseason. Despite a tricky start to the season, Reading’s rise from FA WSL 2 side in 2015 to now a respected challenger at the top half of the FA WSL has been one of the stories of the past couple of seasons. Kelly Chambers has built and coached a squad that is now capable of taking on the best, as they showed in their performances away at Manchester City and Chelsea last season. 2016 saw then newly-promoted Reading finish with just one win from their 16 games and they were the only team to lose to relegated Doncaster Belles. But last season saw Reading finish fourth after holding off fifth-placed Birmingham in a final day draw, a season which saw them win nine games from 18 and end just six points off second place and a Champions League spot. Williams went through a period of rejuvenation last season after joining Reading after Euro 2017 after 18 months of ups and downs at Arsenal. The 34-year-old scored seven league goals for Reading last season and kicked off this campaign with a Continental Cup hat trick against Durham. Her new boss Chambers said before the season started Williams simply wanted to love football again after a difficult period at Arsenal, and for the first time England’s all-time top capped footballer opens up after the difficulties she experienced away from football during her time in London. Elaborating on the situation she faced upon joining Pedro Losa’s side, Williams adds, “I got married and we broke up within weeks of getting married and I tried to hide that from people. I was married in December and moved to Arsenal in January without my partner. Nobody knew that, I didn’t tell my teammates until September/October time that I had a problem. Williams admits looking back she shouldn’t have hid her issues from people as it continued to affect her life off the pitch and her performances on it. With life away from the pitch at a low and her performances on the field suffering ahead of an important European Championships with England, Williams sought for a move elsewhere but didn’t settle on a new club until after England were eliminated from the tournament at the semifinal stage. Williams has returned to a position she’s familiar with from her early days playing football, the No. 10 role. While with England she has often found herself in the defensive midfield role she played in for Liverpool and Arsenal, Williams admits moving between the two positions has had its pitfalls. “I scored a lot of goals for Everton and England when playing as a ten and then for whatever reason I ended up being a number four. I became better at game management and maybe that took away that bit of freedom and creativity from me, but credit to the management for seeing I can still play there. Williams could hit an incredible tally of 170 international caps should she feature in both upcoming friendlies against Brazil and Australia but the midfielder has featured scarcely in games under new head coach Phil Neville despite being a regular in the squads and admits she’s had conversations with the new boss about her role. “I’ve had that conversation [with Phil]. I’m playing consistently as a number ten, the risks you can take are totally different. The position you receive the ball in is different. I played against Germany at SheBelieves for 60 minutes and having played all season as a ten I was taking more touches, thinking I had more time because I was used to it. I had a really bad game and probably not been looked at in that position since. The more immediate future sees Williams face her former club Liverpool this weekend as the hosts look to build on last week’s win at Brighton despite a more than unstable period for the club which saw a summer of players coming in and out and Neil Redfearn resigning after one league game. Williams herself won two league titles with Liverpool in 2013 and 2014 and says it’s “sad” that the club are in the position they’re in, but isn’t sure whether it’s a good time to face the side currently managed by caretaker Vicky Jepson. While Kelly Chambers will now be looking for a way to mastermind Reading to an even higher finish this season, the experienced Williams is realistic about what her side can achieve this season. With a fourth-place finish under their belts, the midfielder thinks a similar finish is the best they can hope for again this season and tips the club she left for the FA WSL title this season. “I think the top three are out of reach,” she said. “If we’re realistic with their finances and personnel it’s hard for the pack below to catch up. It would be nice to go on a cup run as we didn’t last year and on one-off days we’re capable of beating the top teams. Looking further ahead, the conversation ends on the future of one of England’s most decorated midfielders. With turning 35 at the end of the season and a World Cup to potentially look forward to, many would expect that perhaps Williams is thinking of a time in the near future where she’ll be hanging up her boots. To the contrary, Williams says she’ll continue playing for as long as she’s happy and adds she’ll never walk away from England. Williams also insists the lure of one final European Championships likely to be held in England in 2021 won’t have an influence on her decision. “When I stop enjoying it is when I’ll retire. I certainly don’t look at the Euros but I’d love to put myself in a position for the World Cup squad. I have to be playing well and that goes for anybody. I hand on heart believe if you’re performing well you deserve a shout and I’ve had that conversation with Phil.